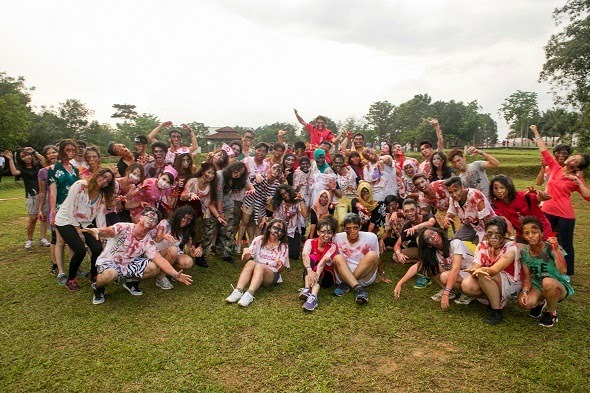 Run For Your Lives Malaysia, a Zombie infested obstacles run will be organised in Penang for the first time at the Penang Botanic Gardens on 16th May 2015. This event is organised in partnership with Tripda, an online carpooling platform that connects car drivers and passengers heading the same way. What’s interesting about this race is that participants can choose to either run for their lives and dodge the Zombies or be a Zombie themselves and hunt for the runners. It’s an exciting 5km route that participants will be racing on from 9am to 3pm with obstacles to complete apart from dodging the Zombies. According to Delon Leong, the founder of Dusty Monkeys (the organiser of Run For Your Lives Malaysia), this is the second Run For Your Life event that is being held in Malaysia. The first one was held at the Malaysia Agro Exposition Park Serdang in Selangor with 10,000 participants. “The event last year in Kuala Lumpur was a great success and we hope to repeat that success in Penang,” said Leong. “It will be a very interesting event at the Penang Botanic Gardens where one will be one with nature while completing the obstacle race,” added Leong. The organiser of the event is expecting 4,000 participants to sign up for the Penang event. Registration for this event is still ongoing with various price levels for different registration categories and dates i.e Loyal Members (RM79) from 6th March to 10th March, Early Birds (RM89) from 11th March to 15th March, Normal registration (RM99) from 16th March to 29th March, Latecomers (RM109) from 10th March to 26th April and Last Chance registration (RM129) from 27th April to 10th May. Participants can log on to http://runforyourlives.asia/my-penang for more information about the race and to register. In view of the limited parking space and the expected overwhelming response for this event, Tripda is urging participants to carpool. An online landing page to match participants as well as volunteers heading to the event has been created for the convenience of carpoolers. “Tripda is a fun way to carpool. Participants of this event can foster new friendships by carpooling apart from helping to reduce traffic congestion and parking problems,” said Victor Ang, Managing Director of Tripda Malaysia. “Tripda is also a convenient and safe way to carpool. We hope more commuters will appreciate carpooling more after they have tried it,” added Ang.